There is no doubt that visiting the estancias of this country means getting to know their history and culture. The countryside and its men are an unquestionable part of their purpose. Getting immersed in the estancias helps understand what is thought, lived and felt by the men and women of the Uruguayan rural areas. 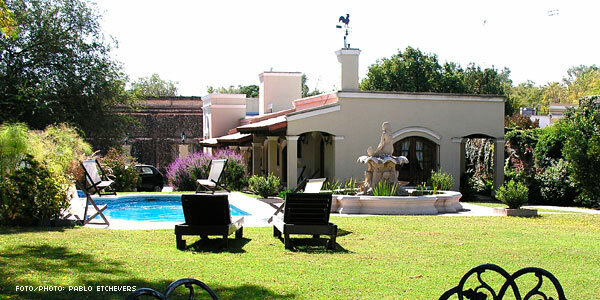 In the last few years, many agricultural venues and estancias have been getting ready to open up to visitors. This implies that many local and foreign tourists have started visiting the estancias and historical shells in order to share the rural life philosophy with their owners. It could be said that today, the estancias in this country are telling their history. 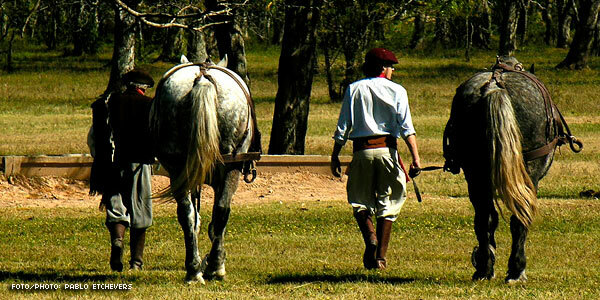 Both at the traditional European estancia shells lying in the middle of the plains and at the estates or farms raised in the warmer areas of the country, the friendly and laborious Uruguayan gaucho will be expecting visitors with their delicious mate to show them into their world. We just need to ask for permission to cross the gate. and tell her I can’t live. –you know it–, that day. a woman with such eyes. of the love I once asked from her. and your eyes will speak to her about me. the heart I once offered her.